These premium gloves are made from natural rubber latex, offering formfitting comfort and fingertip dexterity. 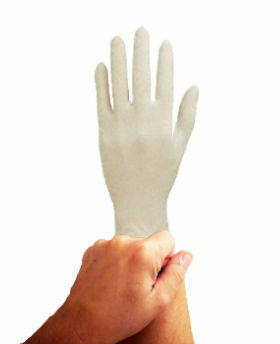 An offline manufacturing process gives the glove a low AQL (pinholes), and superiority over normal general purpose, B-grade gloves. 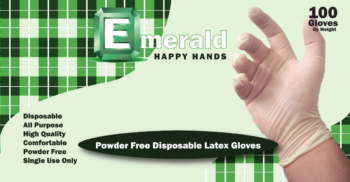 In addition, Happy Hands latex gloves have a beaded cuff and reinforced finger thickness for excellent tear and puncture resistance. Packaging: 100 gloves per dispenser box. 10 boxes per case.